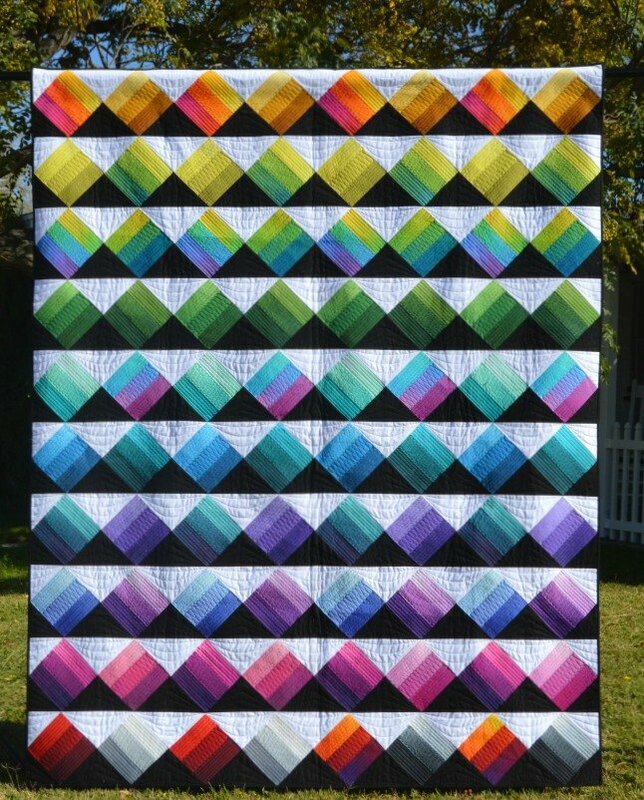 This beautiful Peaks & Valleys quilt is made using 2 1/2" strips (not just any strips). The Ombre Strip Set from Maywood Studio. This gives the quilt that wonderful illuminating effect. Finished size: 68" x 85". Kit includes fabric for quilt top, binding and pattern.